Found at the bottom of Jeralyn's suitcase after a trip to Asia. Photo by Boris Ebzeev. 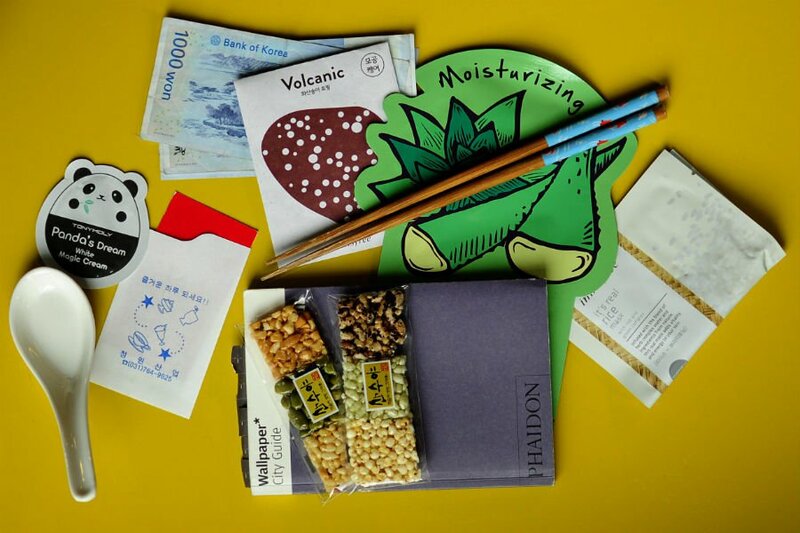 For our first installment of Travel Loot, our new weekly product round-up, Fathom editorial director Jeralyn Gerba does a post-Asia show and tell. What happens after ten days of deciphering Asian characters, binge-drinking effervescent rice wine, and enduring tough 2 a.m. scrub-downs from South Korean ajummas? You recline ever so slightly in your economy seat and spend the 14-hour plane ride thinking about how you'd like to do the whole thing over again. It's been a few weeks since my trip to Hong Kong and Seoul, and I cannot get Asia out of my system. Herewith, a few products to help fill the void (and rack up air miles on the credit card). I thought Americans were really into beauty products. Then I found myself wandering around a South Korean beauty mall at midnight, overwhelmed by the sheer number of well-moisturized (often surgically altered!) faces beckoning me to try lotions, creams, oils, tonics, and pore strips. 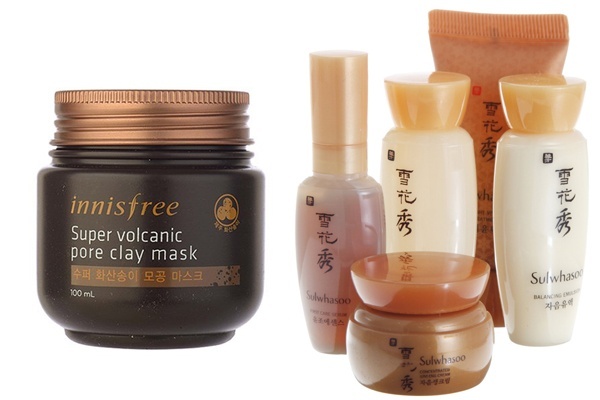 The Haul: Innisfree, for the locally procured ingredients (like a mask using volcanic ash from Jeju Island); and the pricey Sulwhasoo, for the sheer excitement it's generating among the ladies. Everyone talks about the balancing water. The super popular serums are based on Korean medicinal plants (ginseng, lotus flower). The mask sheets are also fun to wear around the house. I saw it at the Art Basel Hong Kong after parties, at the dining clubs, at the dai pai dongs. If there's one consistent look among indie HK girls, it's thick eyeliner. Think Cleopatra, think 1930s Shanghai, think coquettish Bardot eyes: It's bold, black, and extended way beyond the eyelid. Night markets are a big deal all throughout Asia. I love how the vendors cleverly devise makeshift seating and lighting for cozy outdoor dining. The Haul: I saw this Snow Peak Mini Hozuki lantern at a design shop in Seoul. 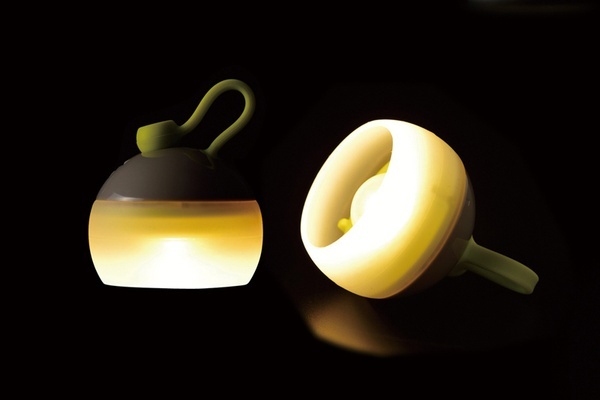 Consider it a slightly fancier version of the bare bulb-clothesepin-contraption regularly seen at night markets. You can fashion it to your own street food cart, or hang it up in a tent or a boat cabin or near your bed. It's cute overload at the airports (Hello Kitty sandwich bar) and at the cafes (pet a cat while you drink your latte), and at souvenir shops like Hong Kong-based G.O.D., Goods of Desire. The Haul: To be honest, I consider a travel pillow to be a sign of a novice flier. 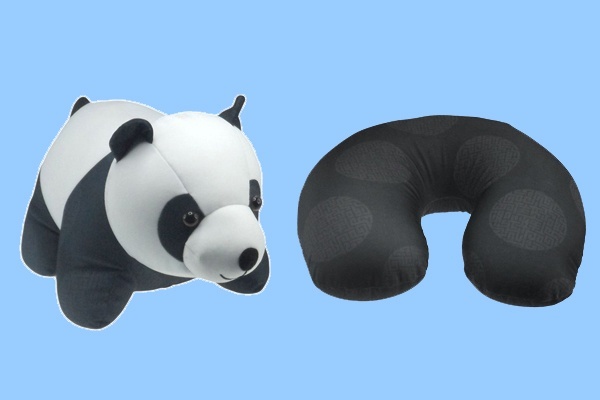 But this overly cute stuffed panda bear is a neck pillow in disguise! All that rooting around China and South Korea made me excited to go to Japan. (The travel list never ends!) 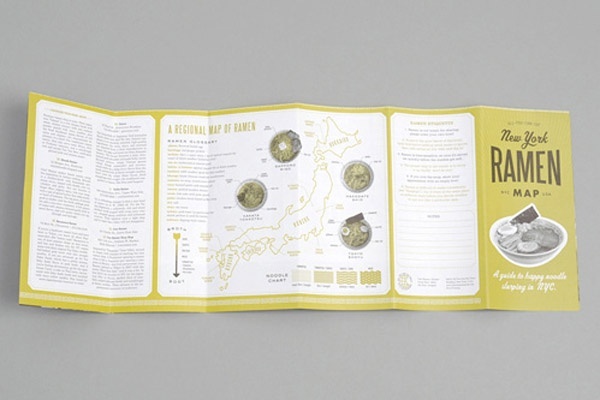 Until I find my way to Tokyo, I will be honing my noodle-eating schools with a NYC ramen map from All You Can Eat Press.